Even though I was a little sick over the last day or two... I drove out to Point Pelee to try and enjoy a little fall migration. My son Matthew came with me, which means I spent a little more time on the beach (getting my toes wet in the surf) and in the visitor center (while my son colours and interacts with the exhibits). We walked the northwest beach footpath which is sometimes good for butterfly watching. 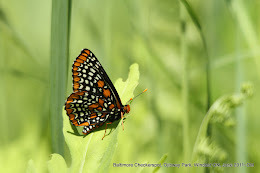 Some butterflies seen include: Common Buckeyes, Giant Swallowtail, Monarchs, Painted Lady, Viceroy, as well as the ever present whites and sulphurs. Later, we took the "Train" to the tip and headed straight to sparrow field. 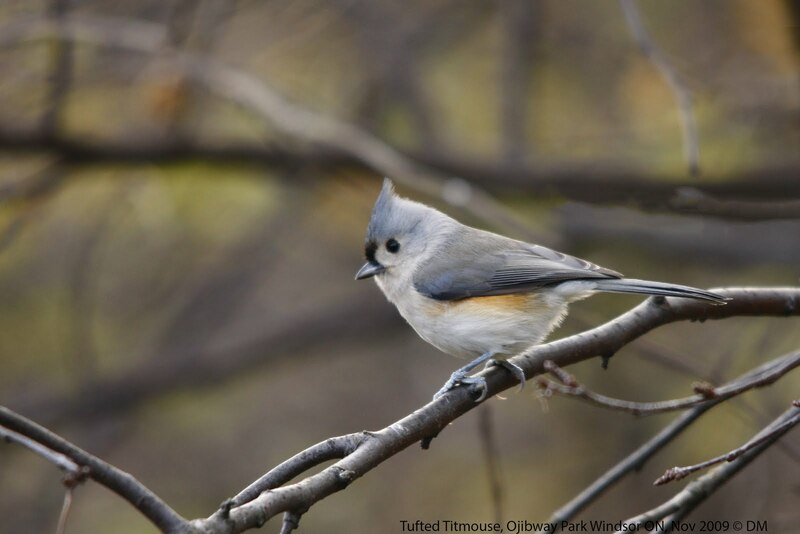 There were some flycatchers and warblers to be seen, but I was getting poor views of these avian beasts. Summer Azures, Eastern Tailed Blues were seen in Sparrow field as well as boatloads of whites. My son and I left Sparrow Field and took a little known footpath to west beach, near the "Serengeti Tree". Lots of birds were along the edge of the water but were uncooperative. Perhaps the Sharp-shinned hawk that was around had them hiding even more than normal. Word had been circulating that a few Little Yellow butterflies had been seen lately (in Sparrow Field), and I was hoping to see one today. 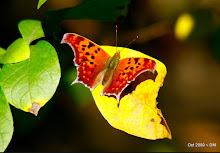 As my son and I approached the tip parking lot along the west beach trail, a small yellow butterfly caught my eye. My son noticed and started chasing this little lepidopteric jem as it cruised along the edge of the road. After waiting a minute or two to land, I snapped a few diagnostic photos. I haven't been butterfly watching too long, but my guess is that there are just a handful of Butterfly watchers in the province that get a chance to see a Little Yellow! Its always fun to discover a new butterfly, but finding one of the "White and Sulphurs" species is particularly fun because Cabbage Whites, and Clouded and Orange Sulphurs are so abundant. This year I saw a "Great Southern White"[link] in Florida as well as a "Mustard White" [link] in Michigan. I had a Beckers White [link] and a Pink edged Sulphur in Oregon this summer as well. We can't forget about the Dainty Sulphur [link] that erupted into Ontario in 2012. 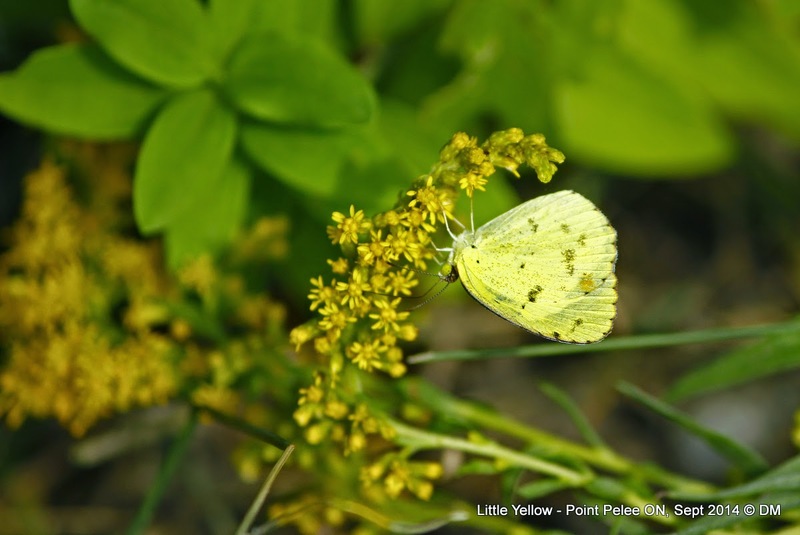 This Little Yellow was not a lifer - I saw one last summer [link] at Point Pelee. Regarding Monarchs - I probably saw 20 or so Monarch Butterflies today. On the way out of the park, I stopped at White Pine to perhaps do a quick walk at Cactus Field. I happened to run into my friend Rick who was eyeing a Yellow billed Cuckoo. I think its been a while since I've seen one so it was a nice find. Its always great to run into a friend whilst birding! Happy World Shorebird Day by the way! Question - Does anyone know the latin name for Little Yellow? Is it Pyrisitia lisa or Eurema lisa ??? Your Painted Lady shot is stunning Dwayne! Hope you're feeling better. Thanks Brian! This butterfly was feeding on Goldenrod and actually flew towards me and provided nice views in nice sunlight. I couldn't help but try to capture it in a photograph! Love the eagle with the airplane barely visible above it. 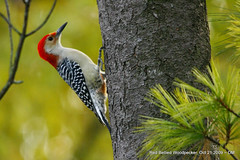 By the way, your excursion to see all those woodpeckers out west inspired me to book my first professional tour. I've been to festivals before where you pay for various outings a la carte, but this will be my first time to do an entire week that's all professionally led. Kelly, I think those airplanes are Dragonflies! There were thousands hovering around at Pelee, particularly near the Serengeti tree along the west beach footpath. I'm glad my Oregon trip inspired you to go west. It was pretty amazing.... But I must say, it took a lot of ?fortitude? To go so far by myself. Thanks for the kind words Karen! Good luck today ! Keep an eye out for Little Yellows and any other southern rarities!